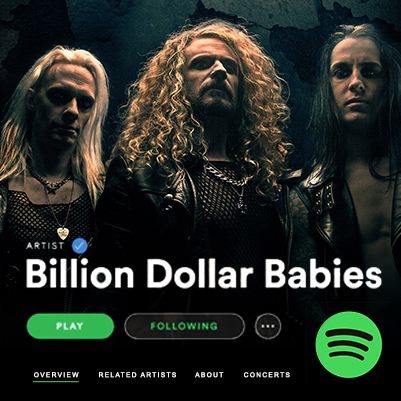 Help Billion Dollar Babies to reach out to more people by following us on Spotify. For every person who follows our artist profile, the algoritms of Spotify will start to work a bit more in our favour. Reaching out to new people is really the hardest part for us, so we are forever thankful for all help we can get with this. We know we are strong and can do wonders together! Here are a few things you can do to help BDB reach out to more people. 3. Share the Billion Dollar Babies artist profile to all your friends who you think will like the band, and ask them to do the same thing. 4. 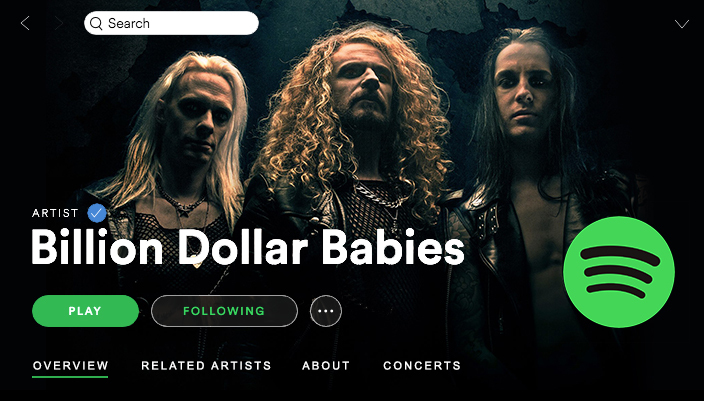 Add your favorite Billion Dollar Babies songs to your own playlists. If you do this, you are helping us HUGE, so thank YOU so much in advance. We really appreciate everything everyone is doing to help out.